Ravi Karandeekar's Pune Real Estate Advertising and Marketing Blog: 2 BHK & 3 BHK Tiny Homes at Kondhawe Dhawade Launched! 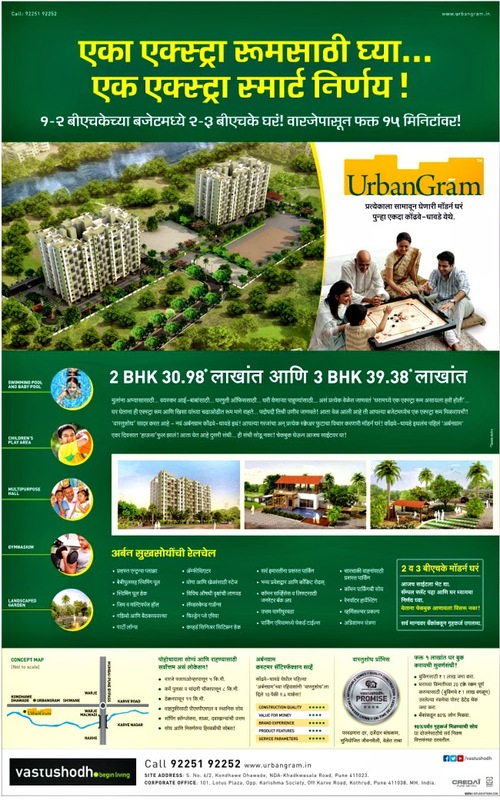 2 BHK & 3 BHK Tiny Homes at Kondhawe Dhawade Launched! 1) Welcome to Tiny Homes at Kondhawe Dhawade, near Kothrud, Pune! 2) Is Vastushodh Projects a Trustworthy - Reliable Builder? 3) What a Fantastic Cash Back Offer! Pay 78 Lakhs for a Worthless Property and Get 4.5 Lakhs Back!! Very small flats and overpriced. Pride World City Charholi PCMC, Pune Launched! Honeydew at Pirangut Annexe Launched! Pinnacle Group Launches Neelanchal at Sus! Booking Open! Mhalunge Riviera at Mhalunge!! No EMI for 1 Year! Tallest Residential Towers in Kharadi Pune!